The colorful print on this pair of drapes draws attention to the beautiful coffered ceilings. 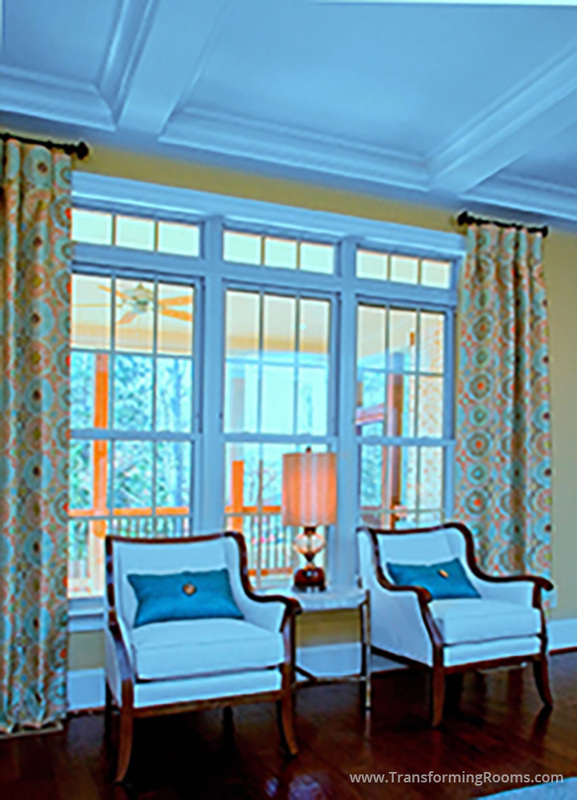 Notice how the window treatments "frame" the window, and do not block any view. Our lamp, end table, and pair of chairs with teal pillows completes the look!